« Less Than 10 Days Left: Don’t Miss the Chance to Win a $1,149 Janome! 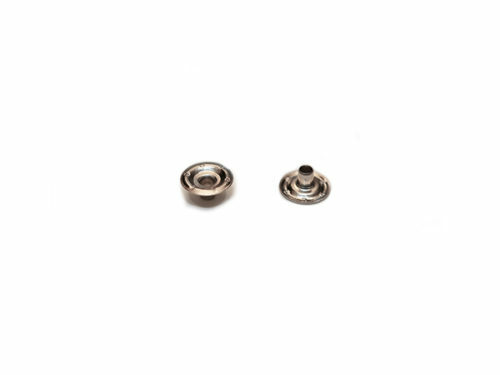 Way back when I was in my early teens, I had a favorite way of closing shirts, skirts, pants and bags by just applying snap fasteners instead of a button. I had a very good reason for that, I did not know how to make good-looking buttonholes. No matter how much I tried they did not come up good enough. Back then my machine had terrible capabilities which made it very difficult. After two years of hand sewing, my father bought me a very simple sewing machine. The sewing machine was an electric Singer with a straight stitch, zig zag, and three step buttonhole, nothing else. I could change the size of the zigzag but not the length of the stitches, or vice versa… I can barely even remember, it was so long ago. For a new girl at sewing, making my own buttonholes was a bit daunting because my fear of making a mistake was high. But I found that using snap fasteners helped me simplify my projects and enjoy the process more. If you have been following this blog for a while you would know that I love history. 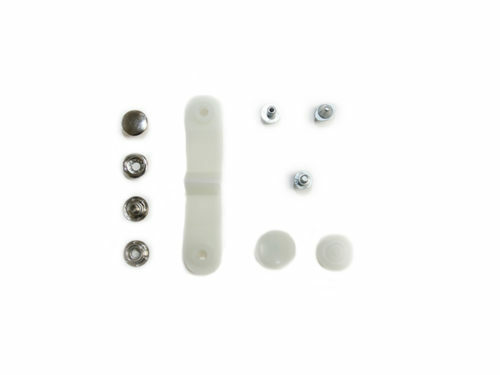 This invention we owe to the Chinese, the oldest samples of metal rivet snap fasteners go back to the 210 B.C. belonging to the military. You know those Terracotta warriors discovered by farmers in 1974? –maybe some of you have had the chance to see them in person. Those were the type of warriors using these fasteners on their army uniform if you can believe it! 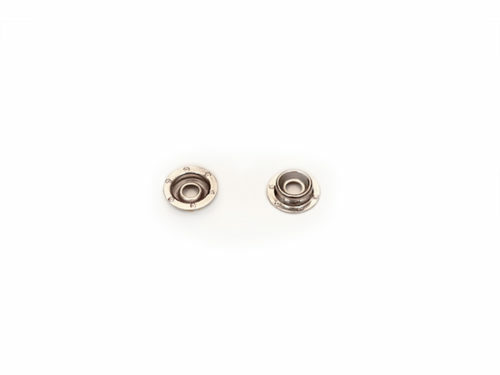 Modern snap fasteners are attributed to two guys in two different countries: In Denmark to Bertel Sanders and in Germany to Heribert Bauer who in 1885 was awarded a patent for the invention of this most useful little gadget. We owe press snap fasteners in clothing with a pearly cap to the founder of the Rochmount Ranch Wear, the American Jack Weil, who also holds the interesting distinction of having been the oldest living CEO of a company, he died in 2008 at the age of 106. 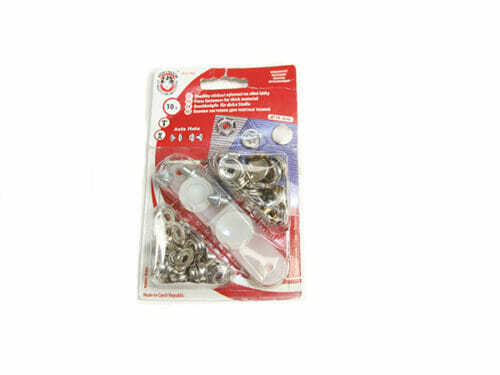 There are five companies that I know of that make good quality snaps fasteners kits these days. Koh-I-Noor, the lesser known of the five, are an art supplies company known all over the world mostly for their inks. They make a snap fastener kit made in the Czech Republic and I found one on my fabric hunting trip to Estonia. The quality is absolutely superb. The new kid on block in my database is this German company with top of the line products. Check their site as they also carry fabrics and other wonderful gadgets. Now, let's clarify, I do not know Maggie (Australian-born US resident Margaret Sinclair) but I am fascinated by a woman like this. She holds three different patents on the Maggie Snaps awarded between 2015 and 2016. I would love to sit in a restaurant for a long chat about how she came up with the idea of making the reusable fasteners. So, Maggie!!!! Lunch is on me anytime you let me come near you with my camera and my laptop. Here is the link to her site so you can have a look for yourselves what a great piece of hardware this is. 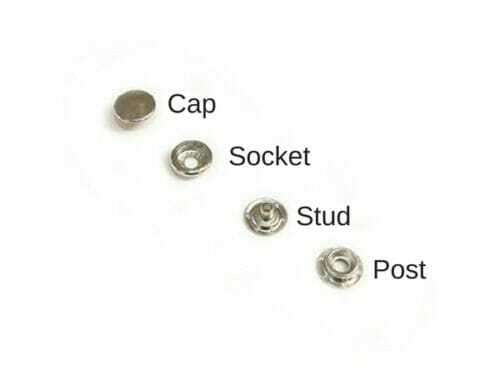 Rivets studs in metal or plastic with three or four parts that need to be used with riveting tools. 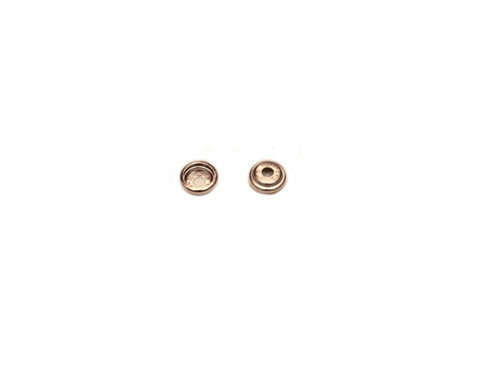 There are a male and female in snap fasteners as in grommets. The male part will be on one side of the material and the female on the other side of the material. 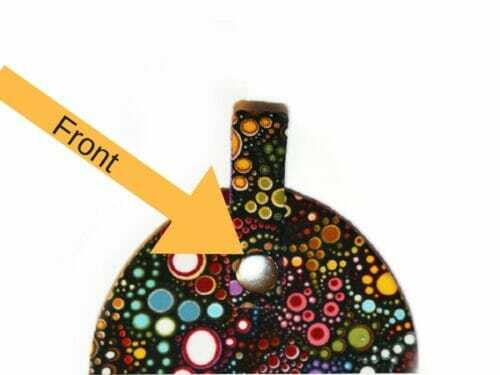 The cap has a post that can be 4mm or 6mm long which is the part that will be seen on the outside of a bag. The socket will be inside of a bag. The stud will be shown on the outside of the bag crimped to a post. The post will match the length of the cap to 4mm or 6mm. Open a hole with the tool your kit came with. Place the cap on the outside of the fabric. The socket will go on the other side of the fabric. Change the pieces from the hole openers to the smooth disc and the riveting metal piece. On the other side of the work, open the hole as done previously and insert the stud. You need to change your riveting tool to the one with the groves. Slide the post. Hammer once again. Note: Plastic Kam snaps are placed the same way. The only difference is that both cap and stud are the same. 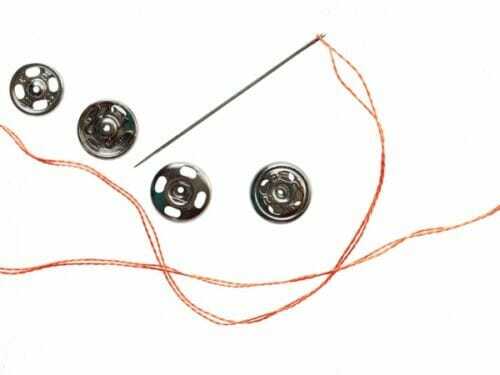 Hope this quick guide to snap fasteners gives you some practical guidance and a good reference list of resources that you can choose from when you're making a garment and want to have a different kind of closure. Do you know any other company that makes snaps? 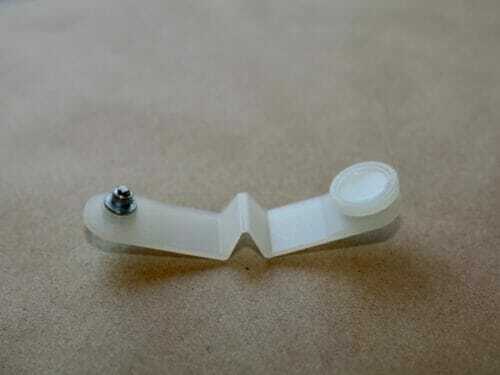 Leave it the comments below, or even better load a picture of a project where you have used the snap fasteners before. 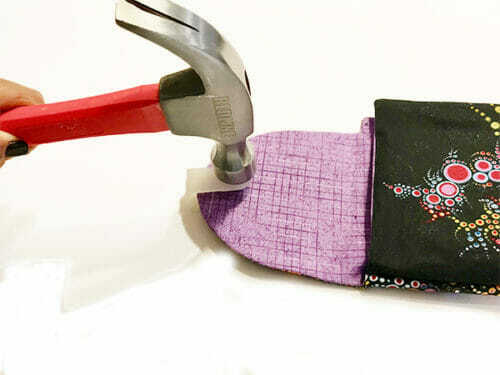 Want a few projects where you can practice your newfound snaping skills Why not try this small crossover wallet. Thanks, and see you next time! 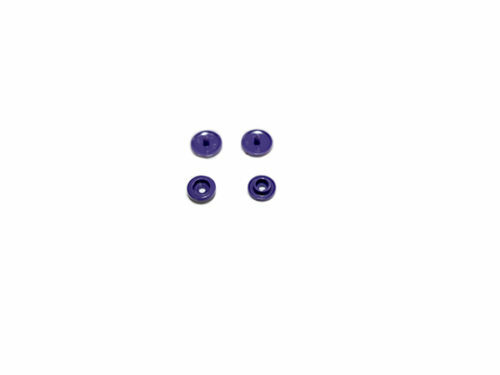 How do you remove the snap fasteners if you make a mistake and attached the wrong thing and want to put the right one? I use a pair of pliers to squeeze it out of shape from the whole. Before you apply a new one use fabric glue to strengthen the fabric and prevent the hole from becoming larger. This is some really good information about fasteners. I had no idea that there were so many different types. The ones that are like buttons are really cool. I wonder if those are hard to find. Interesting article but I’m surprised there’s no mention of Kam Snaps plier like tool. So much easier and more accurate than using a hammer. 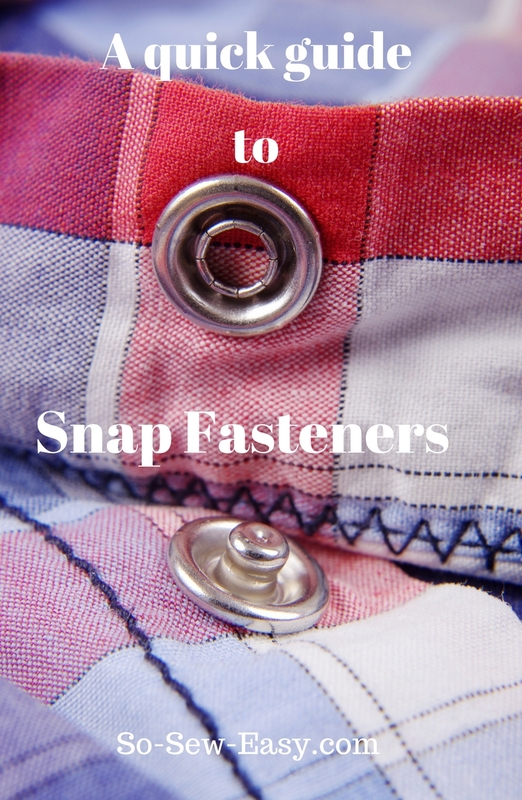 What snap fastener are you using? I am using Koh-i-Nor ones, they are super good quality. As far as I know, you can buy the art supplies only. The sewing supplies are sold in sewing and craft centers in Eastern Europe. I have provided you with a link if you want to get in touch with the company to see if they can sell and send to the USA. I don’t see why not…the link is above where I talk about the companies that make snap fasteners. I just remember today that Sailrite in the USA, sell marine grade snaps. This would have to be excellent quality to take the salt and the sun for many years. Hope that helps Frances. My vote is for Snap Setters. I’ve used them for probably 30 years! The setting tool is easy to use and the snaps are sturdy and colorful. I’ve used them on corduroy baby rompers and overalls and they don’t rip out. I’m not affiliated, just a really happy customer! Thank you for the tip, I didn’t even know these brand existed. Which one would you recommend for using in wallets and small craft items such as baby bibs? I love the snaps from The Snap Source (thesnapsource.com). Their tool for applying the snaps is the best! I never have a snap failure, like I’ve had trying other brands. Are the Babyville Snaps similar to the Kam Snaps? There also seem to be several other brands, i.e. Hobby Lobby Store Brand and I am not sure it Joann’s has a store brand also. Are they comparable? Great article! I love that you took the time to include instructions instead of just referring us to the various manufacturers’ websites. Thank you! However, there is a little mistake in the article. You’ve misspelled Czechoslovakia. But, more importantly, Czechoslovakia does not exist as a country any more. They split back into their own independent countries, Czech Republic and Slovakia, in 1992. Thanks for telling me about Maggy Snaps. These look really interesting. I’ve never seen anything like them. I’m going to give them a try. As always, thanks for your wonderful articles.